In some good news, the latest dark thriller from Kiwi crime writer Paul Cleave (who has won awards for his bestselling novels in both Europe and New Zealand in the past year or so) has now been released in New Zealand, a few months after its US release. Theodore Tate never forgot his first crime scene – ten-year-old Jessica found dead in the 'Laughterhouse', an old abandoned slaughterhouse with the 'S' spray-painted over. The killer was found and arrested. Justice was served. Or was it? Fifteen years later, there's a new killer on the loose and he has a list of people who were involved in Jessica's murder case, among them Doctor Stanton, a man with three young daughters. If Tate is going to help them, he has to find the connection between the killer, the 'Laughterhouse' and a growing list of murder victims. And he needs to figure it out fast, because Stanton and his daughters have been kidnapped, and Stanton is being forced to make an impossible decision: which one of his daughters is to die first. You can watch a short video of Cleave talking about the book, above. I was fortunate enough to read an advance copy of the US version a few months ago, and it's an absolutely cracking book - one of my very top reads so far for 2012. I have enjoyed Cleave's previous novels, but I think this may be his best yet (in my opinion), even ahead of BLOOD MEN, which won the Ngaio Marsh Award in 2011. But hey - many of you know that in the past three or four years I've been won over by Cleave's vivid and vicious storytelling, which blends exciting plots and tense pacing with well-drawn, rounded characters who see the world in unique ways and have strong perspectives and voices. Cleave has earned his way onto my 'read everything they write' list, alongside some other terrific crime writers from around the world. 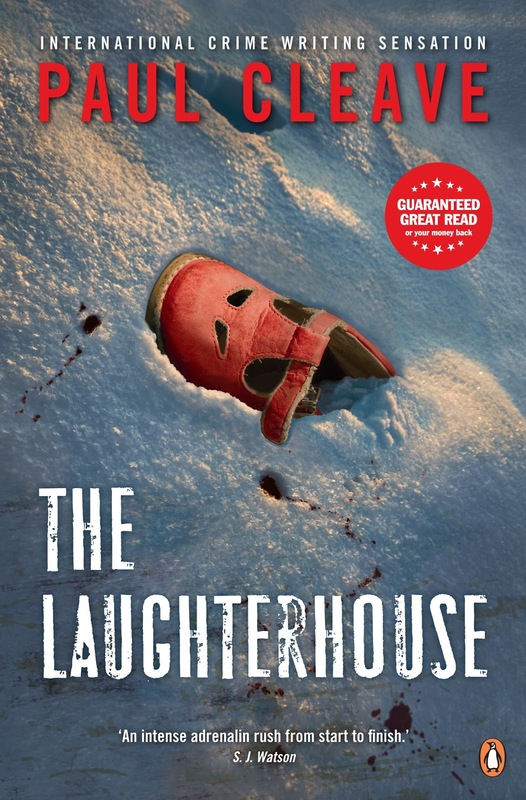 If you like exciting crime fiction with substance at the darker end of the genre, then I think you'd probably like THE LAUGHTERHOUSE. You can read the prologue to the book yourself here.